Do you have a travel-related question? Are you wondering where to go on vacation or are you unsure about the booking process? At findmyfare.com, you can speak directly with our travel experts, regarding International flight booking, Local & international Hotel bookings, & all other travel realated services. Looking for the lowest price on your flight booking? Lock now, pay later at same fare. 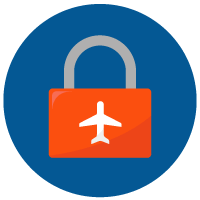 Lock a flight fare today and pay only if your plan is confirmed. Even if the fare increases, you still pay only the locked fare. Use this option to secure your seat for the future without worrying about a price-hike when the travel date is near or flight tickets selling out. 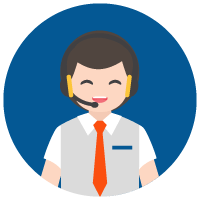 Short of funds, but want to book in a good price on your next flight booking? Then Pay Later is just the feature for you. 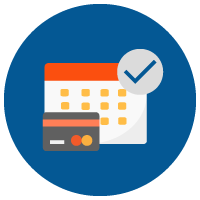 It allows you the flexibility of paying only a small percentage of your total booking amount to confirm the booking and pay the rest, at a later date. Wherever you go, we keep you protected. 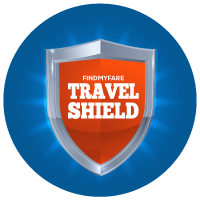 Travel shield specially designed to protect you before and while traveling to your destination. It take care of any contingencies that might arise like sudden illness, visa rejections, misplaced passport, loss of baggage etc. So travel the world. Leave the worries to us. Isn't this the most attractive offer? Book now and pay up to 36 Easy Installments with 0% Interest! Findmyfare.com introduces 3,6,9,12,24 & 36 easy installment plans with 0% interest by all your favorite banks. An exciting new feature for credit cardholders, this service ensures any luxury holiday doesn't burn a hole in your wallet when booked with findmyfare.com.